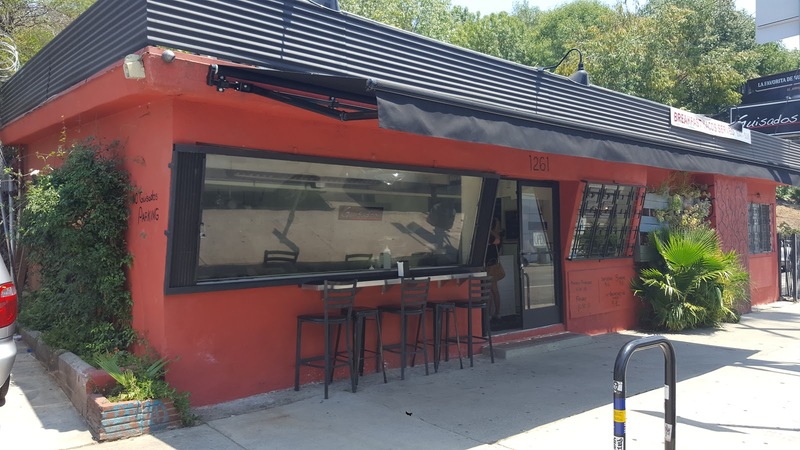 The spot for delicious tacos but where the all-star menu item is not tacos: El Centro. Now I understand why. These tacos are easily in the top 5 of all tacos I've tasted. They win big with the tortillas. Stone ground corn masa is turned into delectable, hearty, fresh-made tortillas that hold up to the messiest of taco toppings. 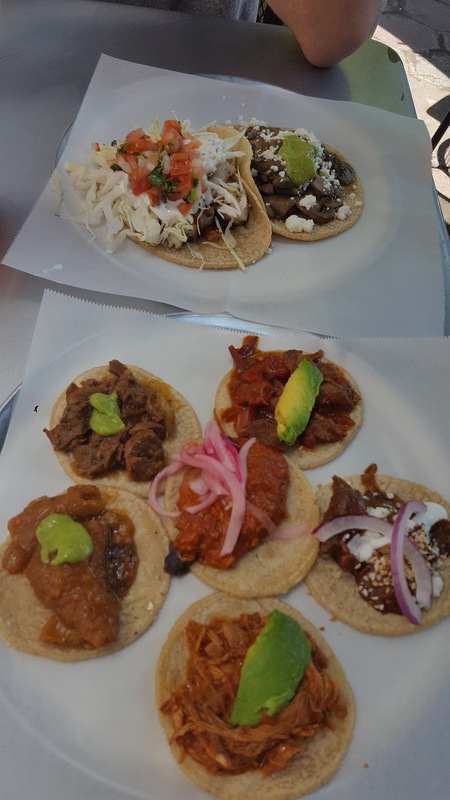 Rumor has it that they deliver the fresh masa to all of their locations first thing in the morning so everyone can enjoy the signature taste that defines a Guisado's taco. 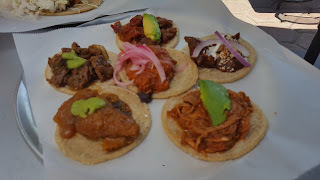 In an effort to experience as much Guisado's as possible, I got the sampler plate -- 6 mini tacos adorably arranged. 2 Pork, 2 Chicken, 2 Steak. Classic AF. The Guisado's specialty is that they braise their meats so you will always get a stewy, flavorful, meat-melting-in-your-mouth experience. 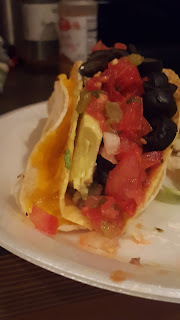 I was lucky enough to also get a bite of the grilled fish taco which, as my followers know, is not usually a favorite of mine (booo tilapia). But whatever fish they put in this taco was supreme. Fresh. Light. A crunch of cabbage. I'd eat this fish taco any day. 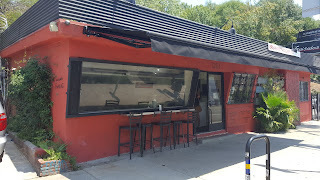 There is no doubt in my mind: Guisado's knows tacos. 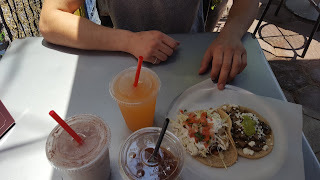 Plus, they have some delicious horchata (maybe a Blocho's Tacos #1 Horchata) and agua frescas. I recommend blending the melon y limon for a tropical party in your mouth. 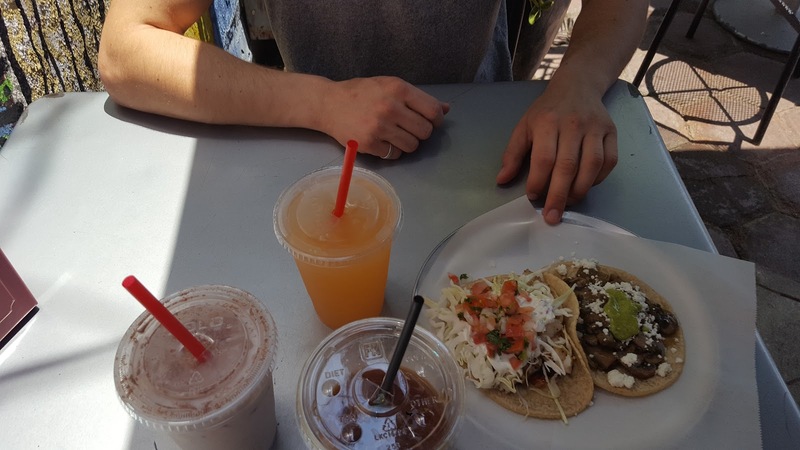 Basically, you're denying yourself pure bliss if you're in LA and looking for tacos and do not go to Guisado's. Don't do that. Just go.